As the first project in the world dedicated to improving the international trade ecosystem with the blockchain technology, the key to the recognition of the SilkChain lies in its innovative model and concept in the context of the short time horizon of China-US trade war and the rising trade protectionism. International trade is the world's largest industry with a total volume of over $30 trillion, but it still faces new challenges. Although the internet has greatly improved the flow of trade information, capital and goods, it has also magnified a problem that has accompanied international trade for thousands of years -- trust. This problem is not only result in hard to achieve big, efficient trade deals, but also further impedes the intervention of financial leverage. The direct impact is the high occupancy rate of enterprise liquidity and the high trade cost. 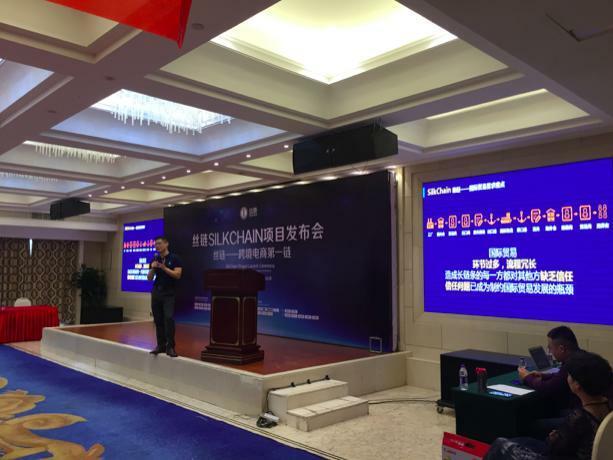 Based on this, the ITDC (International Trade Digitalization Commission) launched the SilkChain project with the opportunity of the booming development of blockchain technology. It has formed a "SilkChain" community with famous enterprise groups, trading entities, e-commerce, logistics, warehousing and financial companies from all over the world, including China's well-known cross-border e-commerce company Osell Group, Saudi Arabia's al-mobty group, and Indonesia's Salim Group. It is committed to building a "global merchant credit system" and a "supply chain financial system". With this as the goal, the SilkChain has carried out disruptive innovation in technology. At the basic level, based on the increasingly mature basic chain technology, the intelligent contract template and data structure standards meeting the industry standards are formulated. Through trusted nodes to provide information authenticity endorsement and non-tamper or repudiation consensus, issue Silk points to ensure the value transmission of information exchange. In the middle tier, design a series of mechanism, including general API access across the chain, smart business contracts and data separation, safe and reliable chain business logic execution environment, message driven asynchronous intelligent contract, contract editor and validator visual intelligence, made a large number of the current Internet industry application can quickly move to block chain. In the application layer, rely on the wire in the chain of coalition partners, establish a decentralized global merchants credit big data system, and then establish trade payment based on credit, financial services, B2B trade supply chain services, insurance, factoring services decentralized applications, and then grafted all ecological industry, expand the industry as a whole increment, and accelerate the tradition to the digital trade stock transfer. This new concept became the focus of attentions and was highly recognized. It is also known that the innovative concept of SilkChain has been highly recognized by international rating agencies. 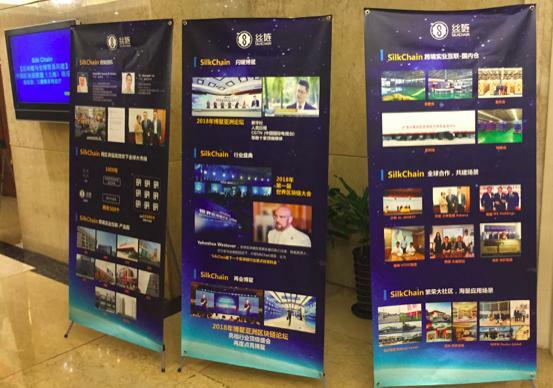 It is reported that several famous international block chain project rating agencies give the SilkChain SilkChain project high marks, among which there are many full marks. Among them, TrackICO gives full marks for the silk chain, becoming the only cross-border e-commerce related block chain full marks project at present, and is recommended by the home page. ICOmarks block chain project rating website scored 9.7 points for SilkChain project and 4.91 points for COLINK. In addition, the SilkChain project product scored 4.8 points in "Benchy", ICObench's professional system measurement tool. HypeScore of silk chain is recognized by high attention index and low risk index in ICORATING. HypeScore scored 99 out of 100 on ICODATA. 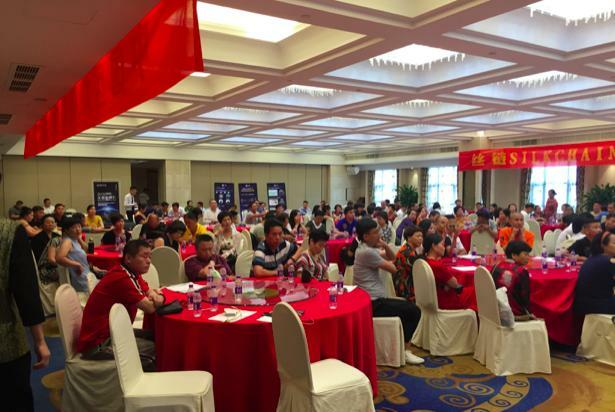 As the relevant personnel of the silk chain said at the meeting site, the subversive nature of the block chain lies not only in the technology itself, but also in the combination of application will produce greater effect. The silk chain supports tens of thousands of overseas trade centers around the world to develop and use their own independent application Dapp. The overseas trade center refers to the independent application scenario, establishes a credit investigation system based on its own system, and provides financial services to its members according to the credit records and value database. Finally, we will achieve global trade connectivity and establish the largest digital international trade community and international trade credit reporting system. At the same time, Banks, insurance, logistics, payment and other third-party value-added services will also be stationed to provide international trade support services. Currently, based on the development of the silk chain, the world's first cross-border e-commerce Dapp, e-dragon has been launched in bahrain. With the application of block chain technology in international trade, the transaction becomes more convenient and cheaper. Just as the Internet revolutionized communications in the late 1990s, blockchains are expected to bring about an unprecedented change in many areas. How does the hot block chain technology rewrite the future of international trade? The silk chain is undoubtedly at the forefront of improving the ecology of international trade.